We invite you to visit our state-of-the-art luxury dental practice, where we take pride in providing the highest quality dental care along with the highest level of customer service to our patients. We offer services in Cosmetic Dentistry, General, Family, and Implants, and we welcome patients of all ages. Make sure to visit our Instagram page for the most up-to-date smile makeovers & other exciting news… like our recent GQ feature! We are the innovators of GlassGlossTM – the future of cosmetic & preventive dentistry! GlassGlossTM will preserve your smile at it’s peak. We are also officially the first office in Beverly Hills to offer the groundbreaking Dexis CariVu system, a completely RADIATION-FREE way to see inside your teeth! We are also the creators of The Practice | Image Design, our unique take on smile design that incorporates your personal image goals combined with traditional facial aesthetic principles to elevate your style & confidence. We work with some of the best dental porcelain labs in the world, helping to produce some of the most breathtakingly beautiful smile makeovers. 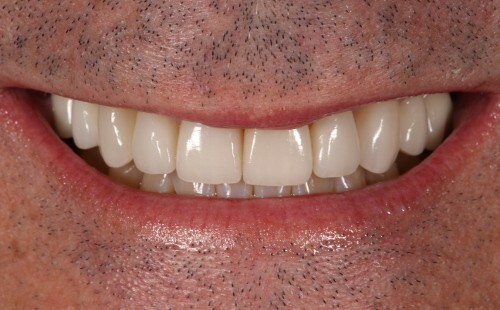 The artistry and craftsmanship allows us to improve smiles with realistic and natural looking porcelain crowns and veneers. In addition, we respect your time by always being on-time for your appointments. Drs. Dustin & Stacey Cohen are thrilled to be teamed up with Dr. Andrew Frank to elevate the level of Beverly Hills dentistry and provide service from some of top practitioners in the area. Dr. Frank has maintained one of the premier dental practices in Beverly Hills for the past 30 years. Together, we will continue to set the bar for excellence for the next 30 years. Our digital office is completely up-to-date with the latest in dental technology. We are the first in Beverly Hills to have a radiation-free way to see inside your teeth! We know our patients lead busy lives and we value their time. Your appointment is a reservation that we are always on-time for. We are the exclusive partners of world-famous Grill designer, Dolly Cohen. We love to make our patients’ dreams come true, whether it’s improving your smile or creating custom jewelry for your mouth. Let us take the stress out of your dental appointment; we can take care of the entire visit from the moment you step out of your door. Always warm and personable with a sincere concern for your dental health. Every last person in the practice is super helpful and wants you to have the best experience. I’ve been a patient for 22-years, and I’ve watched the practice grow and evolve with the latest hardware and software technology, along with a well designed office, creature comforts, and thoughtful artwork. You can make an appointment for a Saturday if you’re too busy during the week. When you receive a call from Dr. Frank or Dr. Cohen hours after a procedure (example: a filling or a crown), to check-in on you and chat for a moment …that builds trust. I have received many warm and caring follow-up calls over the years. Nobody likes going to the dentist—but every single person in this office is truly wonderful. And amazing at their jobs! Our entire family goes to The Practice/BH Boutique Dental. All of the dentists are incredible. The staff is friendly and professional. They do everything possible to make seeing the dentist a pleasurable experience, and that is not an easy task! The office is immaculate and centrally located in BH. Great, expert care. Warm, caring staff. Been going here 20 years. Highly recommend. Everyone from the incredible dental hygienists, the reception staff, the dental assistants and of course the dentist team of Andrew Frank (Andy) and Dustin and Stacey Cohen have created a relaxed, professional and friendly atmosphere. When I arrive for an appointment, the entire staff gives me the impression I am their favorite patient. I had 2 fillings done by Dr Cohen and it didn’t hurt at all. He has gentle hands. If I need more dental work I would definitely trust him to do it. Everyone in the office is super nice. My visit to The Practice was no more than I expected. The Group merits a 10++++++ always – that’s the very top of the scale!! I have been a patient of the practice for over 20 years. In addition to an outstanding cleaning by Liliana I brought my sister to Dr. Dustin Cohen for a consultation. She was so pleased that we talked about him/her visit and the office in general for the rest of the afternoon. If she had a computer I am sure that she would write you the same as I It pleases me that I have this opportunity to express my most positive and appreciative feelings. This is the most professional dentist office I’ve been to and have been using for years. A wonderful staff. Very helpful in helping me understand what is truly needed and what can wait. I’m a newer patient, I was referred by a producer friend of mine… he said this is THE place to go. The service was great, no waiting to be seen, nice new stylish chairs, Dr. Dustin & his staff were amazing. I saw a few famous people in their too! They treated me the same as the celebs… i will be back! Join us on social media to keep up on what’s happening at our office! Send us a message and our office will contact you within 1 business day. We look forward to hearing from you! Underground valet or street parking is available. See the New Guest Registration forms for a street parking map. Each appointment is a reservation with one of our Doctors or Hygienists and we strive to be punctual because we value our patients’ time. We ask for a minimum of 24 hours notice to cancel or reschedule any reservations and to avoid a Missed Reservation Fee. For appointments over 2 hours long or scheduled outside of normal business hours, we request a 25% non-refundable deposit to secure your reservation. We invite you to visit our state-of-the-art luxury dental practice, where we take pride in providing the highest quality dental care along with the highest level of customer service to our patients. We offer services in Cosmetic Dentistry, General, Family, and Implants, and we welcome patients of all ages. Make sure to visit our Instagram page for the most up-to-date smile makeovers & other exciting news... like our recent GQ feature! 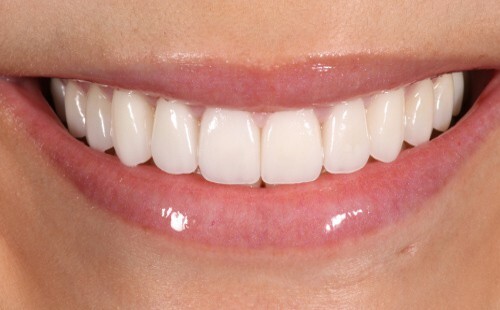 We are the innovators of GlassGlossTM - the future of cosmetic & preventive dentistry! GlassGlossTM will preserve your smile at it's peak. We are also officially the first office in Beverly Hills to offer the groundbreaking Dexis CariVu system, a completely RADIATION-FREE way to see inside your teeth!